This was one of the first few times I took my new camera to Disney and hadn’t figured out all the settings and sizes yet so it looks a bit blurry, but you can still tell how delicious and cute it looks. 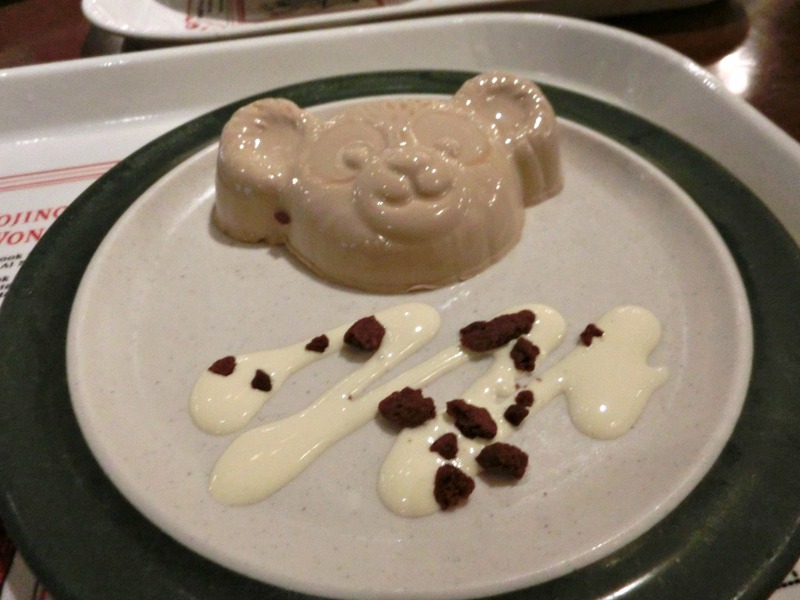 The panacotta was coffee flavored and really good. 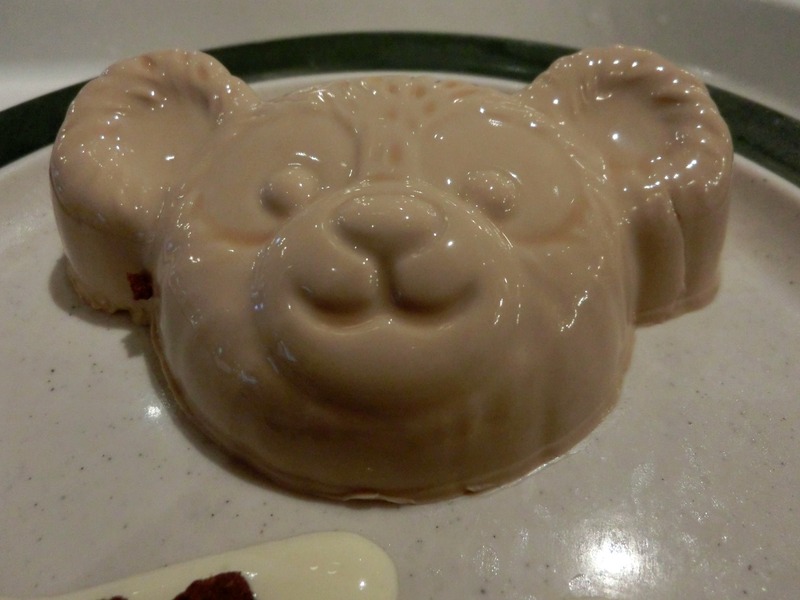 Personally I prefer pudding/flan to panacotta, even though I don’t really know what the difference is…I think that pudding is more jiggly and soft? Can you see the hidden Mickey in Duffy’s face? Oh! I see the hidden Mickey is at the mouth and two eye! Isn’t true? Yanakotta panacotta! Hahaha! Sooo cute! I love panacotta! The difference between flan and panacotta is that panacotta is made with gelatin and milk while flan is made of eggs and milk! !